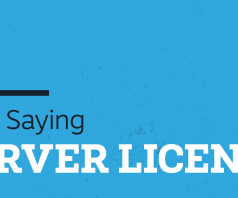 This is a continuing blog series on Licensing. 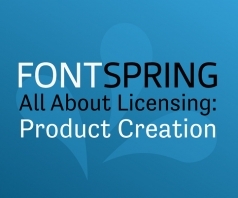 You can view the earlier posts about Desktop, Webfont, App and Ebook, as well as our previous custom license, product creation. Up this week: Website creating and hosting. The Website Creation license is essentially a Product Creation license, but for websites. You keep all of the fonts on a central server, allow your customers to pick a font in their template design, and they can then use the font just like they would normally. Perhaps this is best explained by listing a few examples (note that these are simply examples, they are not necessarily Fontspring customers). 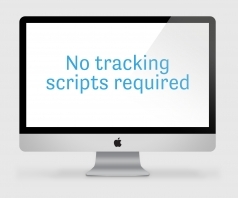 Sites like Squarespace or Wix are examples of this kind of usage, where the fonts are used in many “sites” but the webfonts are still all hosted on one central set of servers. This is basically like an unlimited webfont license, but for lots of smaller customers together. 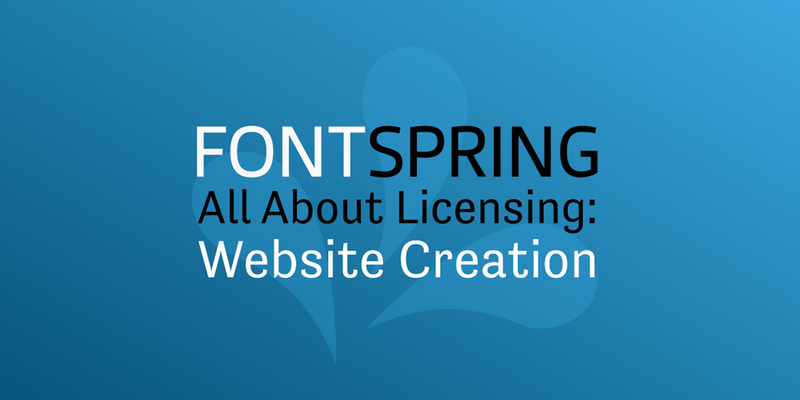 Buying this license will get you webfont files just like a normal license, where you can embed them in your site. The process is pretty much the same. You can make them available for selection by the customer, which means you don’t need to pick for them (though you certainly can if that’s necessary or preferable). Note that there are no tiered options for this license. While pricing is custom, all these licenses are for unlimited use on a single web service. Again, as is the case with all of our licenses, these licenses are perpetual, and the fee is 1-time, not recurring. Because these licenses are all hosted on one server and not being distributed, they are cheaper than website template distribution, which we’ll cover in the next post. Stay Tuned!